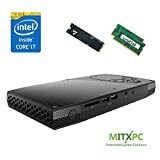 I’ve been taking a brief look at what computer equipment is currently available on the market. It’s easy to lose touch of what’s a good buy as technology improves at a rapid pace and prices change equally as fast. For example, I bought my workstation computer a few months back and it’s already out of date, haha. If my work permit problem is dealt with and I get to work in Canada as I’d like, it’s not viable for me to take a large computer with me (especially on a plane). I originally started looking at the obvious things, such as the Dell XPS and the Microsoft Surface Pro 4 and also the Microsoft Surface Book but they’re all quite expensive. Most of the editing on my photographs is quite bad and it’s something I’ve been working on lately–a more subtle look. I’d like to develop my own style too but that’s a long way off. For this, I can imagine myself using a pen quite a lot… I miss having a pen. Needless to say, for a 16GB Laptop, you’ll quite easily pay around the £1,500 mark plus an additional amount if you buy a pen. This could be the Wacom Intuos Pro Medium. That’s quite a lot of money–money I don’t have right now. So I got thinking about computers similar in size to a playstation. They’d fit in a suitcase quite easily, but obviously I’d need a screen. The current generation of Wacom Cintiq screen is actually really, really good. It captures about 94% Adobe RGB if you get the larger model, with 100% SRGB and it has etched glass that’s supposedly meant to be fun to write on and not get scratched too easily. 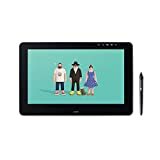 The smaller model is not as colour accurate; however, the Wacom Mobile Studio Pro 13″ is as colour accurate as the Wacom Cintiq Pro 13″. 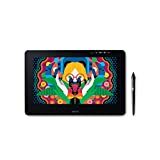 It’s a bit confusing, and I would have liked to see a Wacom Cintiq Pro 13″ with a screen as good as the 16″ model, simple because it’s more affordable. In summation, for less than what a laptop costs, I could buy something like an Intel Hades NUC and a Wacom Cintiq 13 FHD Pro for less than a Laptop and a Wacom Intuos Pro Medium. The advantage is that I’d be able to write directly on the screen, and the screen is probably better than a stereotypical laptop (with the exception of some of the Dell Laptops). The performance would be better too. You can also make machines based around the Mini ITX form factor, not to mention Slim Mini ITX. 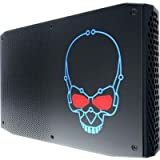 The Intel Hades NUC is rather expensive as barebones PCs go, and you don’t necessarily have to get that model. I certainly think it’s something to consider if you’re not planning to take your laptop anywhere other than from a home location to new accommodation. Another advantage with this method is I could sell all of my desktop equipment, excluding the peripherals, and then use this as my regular machine. I believe it’s certainly powerful enough. This would help off set the cost a bit. Unfortunately, as I’m not sure what’s happening with Canada, I may have to save up, study a bit and then study in Canada at a later date. I felt like writing about this though because perhaps you’re in a similar predicament and it might help you :).